Memorial Day Weekend means summer is here, and that means fantasy football can't be too far behind. We took a look at some early running back sleepers last time. 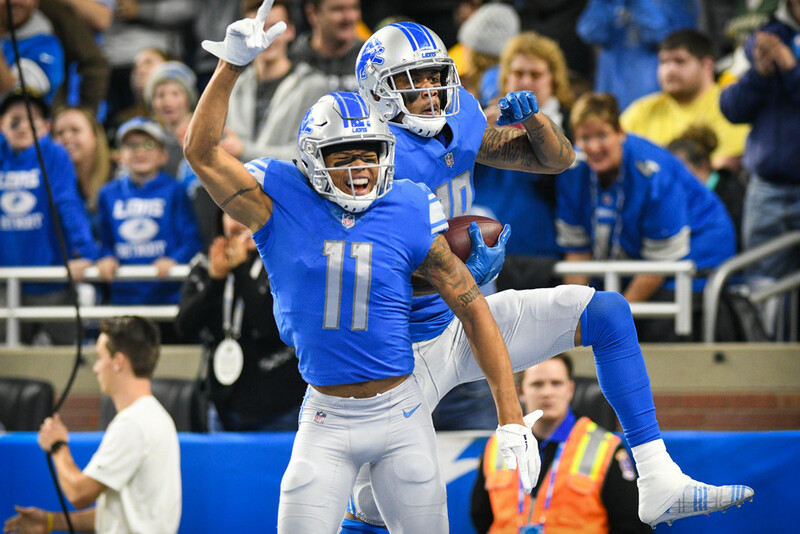 How about five early 2018 sleepers at wide receiver? You won't be able to get JuJu in the sixth round by August. He has all the makings of a breakout WR profile, finishing with 686 yards and 4 TDs over the final seven games last season and ending the year #6 among receivers in points per game. Smith-Schuster has scored a touchdown in eight of his 14 career NFL games. Last year, Martavis Bryant was a fourth round pick in most drafts. JuJu will be there too by the fall, if not higher. How often can you get a top-5 receiver from last season at the end of the sixth round? Jones broke out at the start of 2016 for a few games but then picked up an injury and stumbled to the finish line, then broke out again last year and kept it going all season. Golden Tate will lead Detroit in catches again, but Jones is the better fantasy play and the guy capable of monster games, yet somehow he's being drafted after never-healthy Sammy Watkins and 0-career-TDs Corey Davis right now, outside the top 30 WRs. Be sure to take advantage. Anderson is an insane value right now for a guy that broke out in a huge way last season to finish #15 among receivers. The Jets are a terrible football team, but that's the second time in three seasons the Jets have had a top-15 fantasy receiver, and even bad teams have to pass a lot. The Jets receiving corps is more crowded this season with the return of Quincy Enunwa and addition of Terrelle Pryor, but Anderson developed a ton of chemistry with Josh McCown last season so that gives him the inside track. Dallas might have the worst set of pass catchers in the league now, but all that means is opportunity for someone. We already know Terence Williams can't do much, and Cole Beasley is more of a slot guy, so Hurns could take Dez Bryant's role as the top red zone target. Bryant disappointed the last two years but still averaged 800 yards and seven TDs to finish among the top 30 each year, and Hurns has always posted good touchdown numbers with an 11% TD rate. He should lead the Cowboys in receiving touchdowns and is barely being drafted among the top 50 fantasy receivers. It's tough to make much sense of this Washington offense right now with a lot of new pieces. Alex Smith takes over at quarterback, and that should continue to mean a lot of looks for tight ends Jordan Reed and Vernon Davis. But Doctson should get first crack at the top receiver spot. He finished with six touchdowns and over 500 yards last season and came on late, with 23 targets over the final two games, and he's in the perfect spot for a year three breakout and costs you almost nothing.